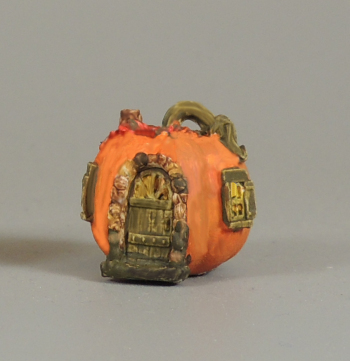 Darling little pumpkin house. Display with our coordinating gourd house or alone. Stands 1" in height. Quality 3d resin printing, ready to paint.